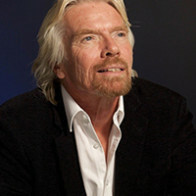 What Makes an Entrepreneur and How Can We Make More of Them? This might be the most fascinating speech you will ever experience regarding our future. Not long ago, you could see your competition coming. Management guru Clayton Christensen coined the term “disruptive innovation” to describe how competition worked: a new entrant attacked a market leader by launching low-end, low-priced products and then relentlessly improving them. Now Christensen’s frameworks have themselves been disrupted…because you can no longer see the competition coming. Technologies are no longer progressing in a predictable linear fashion, but are advancing exponentially and converging. Fields such as computing, medicine, artificial intelligence, 3D printing, robotics, nanomaterials, and synthetic biology are advancing simultaneously, and combining these allows one industry to rapidly disrupt another, before market leaders even know what has hit them. Vivek Wadhwa will teach the basics of exponential technologies and convergence, provide examples of the disruptions that are under way in several industries, discuss the new rules of the innovation game, and challenge his audience members to think like today’s technology entrepreneurs, and to build the new billion dollar businesses within their companies. When Apple announced that it was developing a watch that had the functions of a medical device, it became clear that the company was eyeing the $3 trillion healthcare industry; that the tech industry sees medicine as the next frontier for exponential growth. Apple isn’t alone. Companies such as Google, Microsoft, and Samsung and hundreds of startups also see the market potential, and have big plans. They are about to disrupt health care in the same way in which Netflix decimated the video rental industry and Uber is changing transportation. We will soon have sensors that monitor almost every aspect of our body’s functioning, inside and out. By combining these data with our electronic medical records and the activity and lifestyle information that our smartphones observe, artificial intelligence-based systems will monitor us on a 24×7 basis. They will warn us when we are about to get sick, and advise us on what medications we should take and how we should improve our lifestyle and habits. And with the added sensors and the apps that tech companies will build, our smartphone will become a medical device akin to the Star Trek tricorder. Combined with genomics data that are becoming available as plunging DNA-sequencing costs approach the costs of regular medical tests, a healthcare revolution is in the works. By understanding the correlations between genome, habits, and disease – as the new devices will facilitate – we will get closer and closer to an era of Precision Medicine, in which disease prevention and treatment are performed on the basis of people’s genes, environments, and lifestyles. 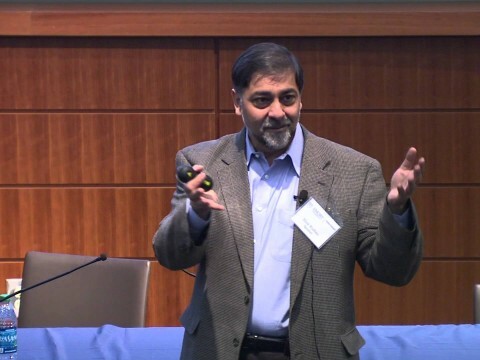 Vivek Wadhwa will give you a crash course in exponential technologies – such as computing, Artificial Intelligence, sensors, synthetic biology, and robotics – and describe how they will converge and help turn our sick-care system into one that can truly focus on health care. The legends of Bill Gates, Steve Jobs, Mark Zuckerberg and other high-tech entrepreneurs have fed a stereotypical vision of innovation in America: Mix a brainy college dropout, a garage-incubated idea and a powerful venture capitalist, stir well, and you get the latest Silicon Valley powerhouse. That’s Hollywood’s version of technological innovation; unfortunately, it’s also the one that venture capitalists try to fund and government planners seek to replicate. But these individuals are not America’s typical entrepreneurs and that is not the way to build innovation systems. 5. The way to build an innovation system is to create a tech park next to a research university and to add industry subsidies and venture capital. He will detail the extensive research that his teams at Harvard, Duke and UC Berkeley have completed on what makes an entrepreneur, and the grand experiment that he helped launch in Chile to create an innovation system there. Build a magnificent technology park next to a research university; provide incentives for chosen businesses to locate there; add some venture capital. That is the recipe for harnessing higher education and industry in order to spur economic growth that management consultants touting the “cluster theory” developed by Harvard Business School’s Michael E. Porter commonly prescribe. Hundreds of regions all over the world have spent billions on such efforts; practically all have failed. All of these well-intentioned efforts to build Silicon Valley–style technology hubs are based on the same flawed assumptions: government planners can pick industries they want to develop and, by erecting buildings and providing money to entrepreneurs and university researchers, make innovation happen. It simply doesn’t work that way. Innovation takes people who are knowledgeable, motivated, and willing to take risks. Those people have to be connected to one another and to universities by information-sharing social networks. Vivek Wadhwa helped design the world’s most successful government-sponsored innovation-development effort: StartUp Chile. This focused on bringing talent to Chile and cultivating ties between entrepreneurs. It was so successful that The Economist dubbed it “Chilecon Valley”. to build an innovation system, create a tech park next to a research university and to add industry subsidies and venture capital. Our laws and ethical practices have evolved over centuries. Today, technology is on an exponential curve and is touching practically everyone, everywhere. Changes of a magnitude that once took centuries to occur now happen in decades, sometimes in years. We haven’t come to grips with what is ethical, let alone with what the laws should be. The same technologies that are making it possible to solve humanity’s grand challenges—in education, water, food, shelter, health, and security—are also creating new nightmares. Consider the question of privacy. Our laws date back to the late 19th century, and there is no consensus on what information should be public and what should be private. Our smartphones track our movements and habits. Our Web searches reveal our thoughts. With the wearable devices and medical sensors that are being connected to our smartphones, information about our physiology and health is also coming into the public domain. Where do we draw the line on what is legal—and ethical? Then there is our DNA. Genome testing will soon become as common as blood tests, and it won’t be easy to protect our genomic data. But we have yet to come to a social consensus on how private medical data can be collected and shared. The technology to edit genes has also advanced to the point at which Nobel Prize winners are calling on scientists to accept a self-imposed moratorium on any attempt to create genetically altered children until the safety and the medical bases for such a step can be better understood. Artificial Intelligence is advancing rapidly and making amazing things possible in health care, transportation, technology, marketing, and practically every other field where data have to be analyzed—and decisions made. But the advance of this super intelligence has scared even tech luminaries such as Bill Gates, Elon Musk, and Stephen Hawking. They fear it will be humanity’s last great invention. Should we stop it; can we stop it? A common belief is that the sun is setting on the U.S. empire and that China is about to leapfrog the U.S. in economic terms—and in innovation. 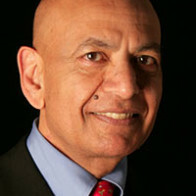 In addition to economic disadvantages, naysayers have long cited graduation data purporting to show that the U.S. is falling behind in mathematics and science education and have predicted that the U.S. will lose it global advantage because China and India graduate more engineers than does the U.S.
China, India, and the rest of the world are now innovating as never before. But it isn’t their governments or education systems that are giving them the advantage—it is their nascent entrepreneurs. They are leading the way in innovation and helping the countries transform themselves. And contrary to popular belief, America is getting further ahead in innovation, it isn’t lagging. The U.S. is reinventing itself, just as it does every 30 or 40 years. Technology is creating the most exciting innovations the world has ever seen. It is also causing anxiety about our future. Navigating technological change at light speed is much harder if you don’t have a trusted Sherpa to be your guide. Vivek Wadhwa has become a globally respected voice on advancing technologies and innovation (He was just named Silicon Valley Forum’s 2018 VISIONARY AWARD-WINNER. Past honorees include Bill Gates, Elon Musk, Linda Rottenberg, Scott McNealy, Ray Kurzweil, Reed Hastings, Tim O’Reilly, Padmasree Warrior, Anne Wojcicki, Reid Hoffman). Vivek’s background is impressive — an Entrepreneur, Academic, Author, Keynote Speaker wrapped into a wonderfully vibrant and charismatic package. His research is focused on the critical advances in robotics, artificial intelligence, computing, synthetic biology, 3D printing, medicine, and nanomaterials, and how these advances are creating disruptive changes for companies, industries, governments and the culture at large. 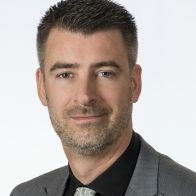 He is also currently a Distinguished Fellow at Carnegie Mellon University’s College of Engineering, he teaches on CMU’s Silicon Valley campus about the latest exponential technologies; technology convergence and industry disruption; risks and regulation; and the new rules of innovation. 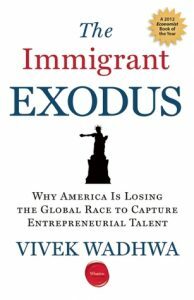 Vivek was also a Director of Research at Duke University’s Pratt School of Engineering, Vice President of Innovation and Research at Singularity University, and Fellow at Stanford University’s Rock Center for Corporate Governance, Harvard Law School, and Emory University. Remarkably, he has held as many as six simultaneous appointments at top universities. 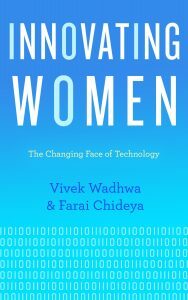 Vivek’s syndicated column for The Washington Post is one of the world’s most popular columns on all things technology and innovation. 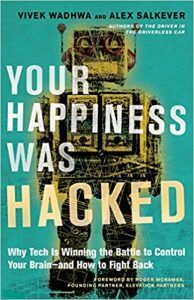 In June he will release his highly anticipated new book, Your Happiness Was Hacked: Why Tech Is Winning the Battle to Control Your Brain–and How to Fight Back. 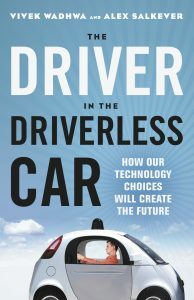 Previous books include the award-winning,The Driver in the Driverless Car: How Our Technology Choices Will Create the Future, he also wrote The Immigrant Exodus: Why America Is Losing the Global Race to Capture Entrepreneurial Talent, which was named by The Economist as a Book of the Year of 2012, and Innovating Women: The Changing Face of Technology, for which the Financial Times named him #2 on its global list of the top ten men worth emulating. 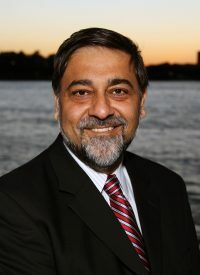 In 2012, the U.S. Government awarded Wadhwa distinguished recognition as an “Outstanding American by Choice”, for his “commitment to this country and to the common civic values that unite us as Americans”. He was also named one of the world’s “Top 100 Global Thinkers” by Foreign Policy magazine in that year; in June 2013, he was onTIME’s list of “Tech 40”, one of forty of the most influential minds in tech; and in September 2015, he was second on a list of “ten men worth emulating” in the Financial Times. 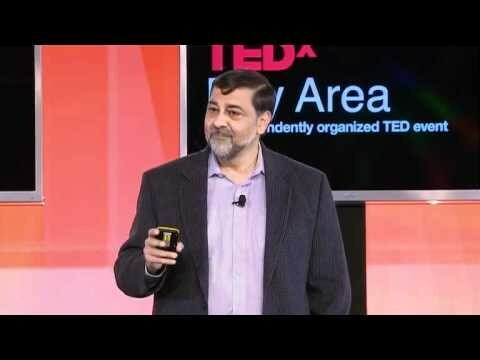 TEDxBayArea 12/08/11-Vivek Wadhwa-Can Silicon Valley be a .. It used to be that you could see your competition coming and anticipate the threats to your business. Clayton Christensen, with his theory of “disruptive innovation”, taught that a new entrant attacked a market leader by launching low-end, low-priced products and then relentlessly improving them. Now Christensen’s frameworks have themselves been disrupted—because you can no longer see the competition coming. The entrants come from different industries and attack established business models—the core of the business. In the same way that Netflix decimated the video-rental industry and Uber is changing transportation, new business approaches will disrupt practically every industry. Business executives need to change their way of thinking about competition—and ways of innovating—if their companies are to survive. 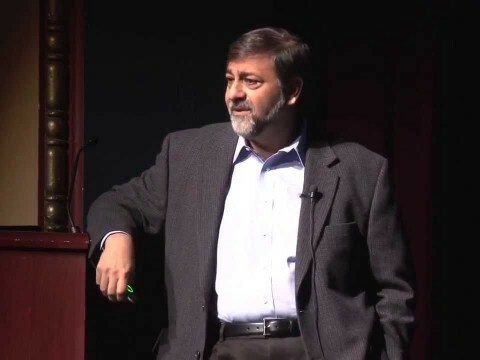 Vivek Wadhwa will teach the basics of exponential technologies and convergence and explain how disruption now occurs. He will detail advances in fields such as computing, medicine, sensors, artificial intelligence, 3D printing, robotics, nanomaterials, and synthetic biology. 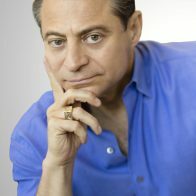 He will illustrate the changes that are about to affect several industries, including manufacturing, finance, insurance, education, transportation, health care, communications, and I.T. services. Then he will ask the participants to assemble in groups of 4–5 people and take the role of nascent entrepreneurs trying to enter their industry. He will help them identify the threats from other industries, look for areas of technology convergence, and develop ideas for new businesses that can take advantage of the new opportunities before others do. transforming employees into intrapreneurs who think—and act—like the Silicon Valley entrepreneurs who are gunning for Goliath. He will conclude with a discussion on the importance of ethics and of understanding the policy and legal implications of technological change.